MSNBC host Joe Scarborough has a well earned reputation for being, well, sort of a jerk. As it turns out, this is an accurate assumption of his personal character, one he helped prove accurate with his recent comments about President Trump and the insensitivity they showed on this somber day, the 17th anniversary of 9/11. 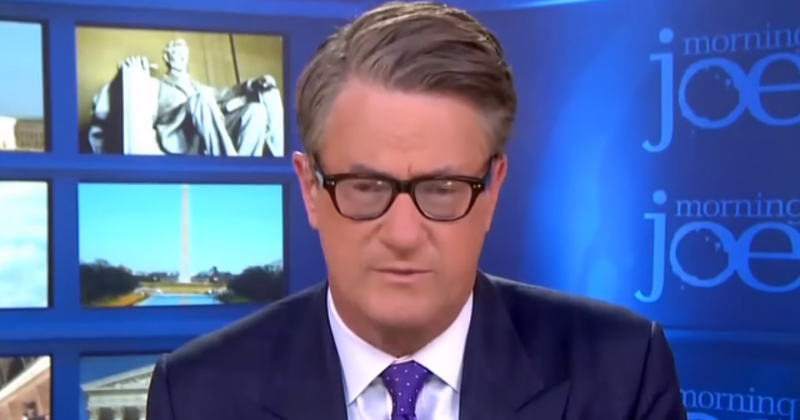 According to Scarborough, Trump has done far more damage to the American dream than the 9/11 terrorists did. Yeah, Trump’s sooo dangerous for the American dream. Just look at how he’s increased small business optimism to record highs, reduced the tax burden for business owners, increased job creation, and lowered unemployment to all-time lows. How dare he! This is a prime example of how foolish it makes a person look to place political agenda above facts and statistics, especially when those facts and statistics prove the very point you’re making wrong. On top of that, today is about remembering the victims who lost their lives thanks to the horrifically evil ideology of mad men. It’s a time of somber reflection. What it isn’t is a time for politicization.